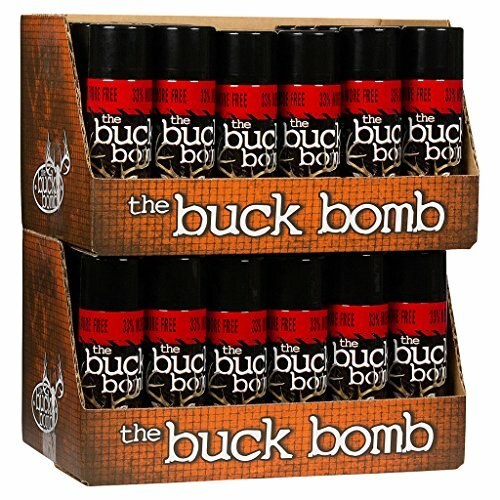 Retail ready display unit of 48 Buck Bomb cans. Combination pack consists of (36) Doe in Estrus, (4) Dominant Buck, (4) Doe P, and (4) Ambush scents. If you have any questions about this product by Buck Bomb, contact us by completing and submitting the form below. If you are looking for a specif part number, please include it with your message.